The applications for aluminum alloys are varied, but for many projects, such as with infrastructure or medical products, the appearance of the final product counts. This means that having a variety of aluminum surface finishes creates more possibilities for what an aluminum extrusion can do. We will review what surface treatments provide and the different types of finishes available in the industry. What advantages do aluminum surface treatments provide? 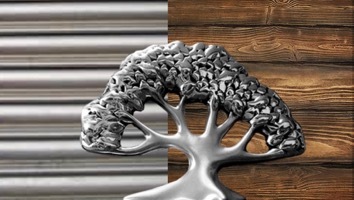 What types of aluminum surface finishes are there? No matter the application, aluminum and its alloys provide the advantage of having a naturally hard and inert surface oxide layer. This layer is formed in aerated water and air and then re-forms when the metal is cut. Subsequently, the oxide film allows aluminum and its alloys to have minimal corrosion. The surface finishes for aluminum fall into three main groups: anodizing, powder paint and liquid paint. Though not as common, there are other surface finishes which include mechanical finishes, pretreatment, and sublimation. Anodizing – Adding further protection beyond the natural oxide film, this electrochemical process provides durability to the aluminum. Anodized aluminum can accept vibrant colors and any aluminum alloy can be anodized. Powder Paint– This process leaves behind a film that meets intense performance criteria. For example, there are many environmental regulations that prevent the use of VOCs which powder coating does not contain. It is applied as a solid, and when going through and over, the solid particles fuse to form the film. Liquid Paint – Varying in color, this film provides uniform thickness. Unlike powder coating, they do contain VOCs but they are driven off during the baking process. When these VOCs are removed, the volume solids form a film on the extrusion. 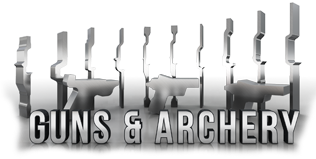 Mechanical finishes – Aluminum and aluminum alloys can be buffed, polished, blasted, sanded, or grinded. This is typically done in order to improve the surface quality of the extrusion in order to prepare it for further cosmetic finishes. Pretreatment – This surface finish is done by either etching or cleaning the profile with alkaline or acidic materials. Following the cleaning, a pretreatment coating is applied which enhances paint or powder adhesion, thus providing stronger resistance against corrosion. Sublimation – This technique is rarely implemented but is becoming more common over time. Sublimation makes an aluminum alloy look like wood of all things! First, a base coat of powder is applied and then the extrusions go through sublimation. Then technicians place a thin film with a pattern on it around the profile. With the sublimation process, the wood pattern is directly transferred onto the extrusion. Taber Extrusions knows what it takes to produce the top-quality extrusions with the best possible finishes. We offer a variety of surface finishes and work closely with our customers to achieve products that are not only reliable and functional but good looking. Interested in becoming a part of the Taber Team? Submit your resume to careers@taberextrusions.com. To keep up with the latest aluminum extrusion innovation at Taber, sign up for our newsletter. Please upload only jpg, png, pdf, dxf, dwg files. Size limit is 5MB.